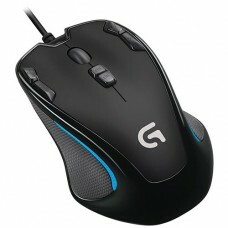 Button nine programmable buttons with Logitech Gaming Software (LGS). 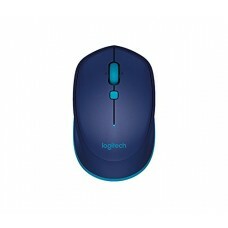 Logitech G300s Optical Gaming Mouse is Achieve great results with the default configuration straight out of the box, or set up one-button triggers for actions that typically require digging into menus.this mouse has temporarily down-shift DPI.In this mouse the balanced shape works for both left and right hands.Assign a unique color and identity to each user profile with up to seven color variations to know what settings are active during game play.1 Advanced features require Logitech Gaming Software, available for download at logitechg.com/downloadsOn-the-fly DPI shifting lets you toggle between two sensitivity settings with a click, from pixel-precise 250 DPI targeting to speedy 2,500 DPI movement. Use LGS to customize the DPI settings to fit your style of play. 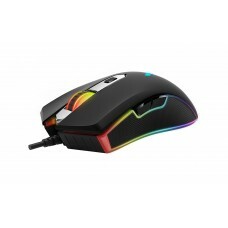 Also, DPI cycling lets you choose from up to five DPI settings while in-game.Physical specifications are Height: 4.53 in (115 mm), Width: 2.83 in (72 mm), Depth: 1.46 in (37 mm), Weight: 2.89 oz(82 g) mouse only and Cable length: ~7 ft (2.10 m).The mouse durability of this mouse is main buttons: 10 million clicks PTFE and Feet: > 250 kilometers. Using LGS to customize the DPI settings to fit your style of play. 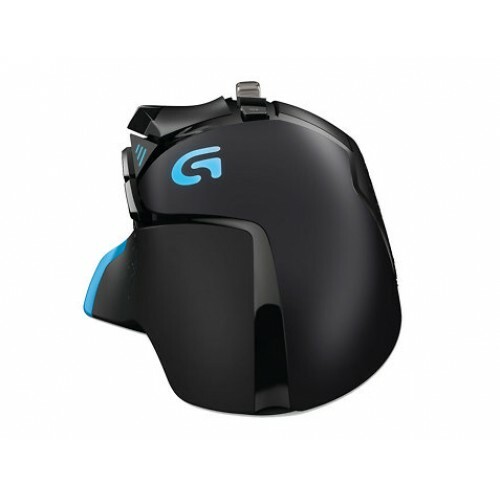 Also, DPI cycling lets you choose from up to five DPI settings while in-game.Able to survive the most intense gaming sessions, G300S will keep going right along with you.The low-friction polytetrafluoroethylene (PTFE) feet eliminate friction on nearly any surface for smoother motions, precise cursor movements and improved accuracy.Be confident that your every command is executed as quickly as possible. Up to eight times faster than a standard USB mouse, G300S captures your moves as fast as you can make them. P.